Though some frame retail as a battle between digital and physical, Maxeda CEO Guy Colleau believes in balancing the two. The rise of digital commerce has taken a toll on the traditional retail industry. Amazon, the most well-known digital retailer, continues to dominate the industry globally, while older, established retail companies like Walmart are trying to survive the upheaval by moving into the digital space themselves. Of course, when old companies try to learn new tricks, there can be a danger of overextending or taking risks on unproven trends. 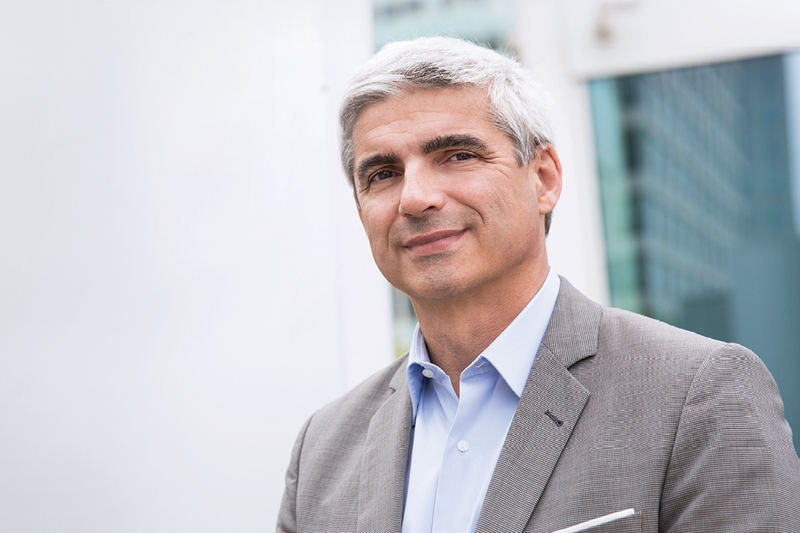 Guy Colleau, CEO of Benelux-based retailer Maxeda DIY Group, is careful to strike a balance between investment in ecommerce and support of traditional, brick-and-mortar retail. With much of his career dedicated to DIY retail, Guy has seen a great deal of changes impact the industry. 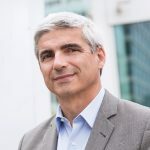 He’s come from big industry groups in France, such as Leroy Merlin France, and Castorama France, of which he was CEO from 2006 to 2013. He then managed international operations for British retailer Kingfisher, which operates more than 1,000 stores in 11 countries across Europe and Asia, including the UK, Russia, and France. Moving to Maxeda in 2016, therefore, represented for Guy both a change of pace and a geographical shift to the economic region of Belgium, Luxembourg, and the Netherlands. The kind of chains he’d previously worked with had operated larger stores, sometimes more than a hectare in size. 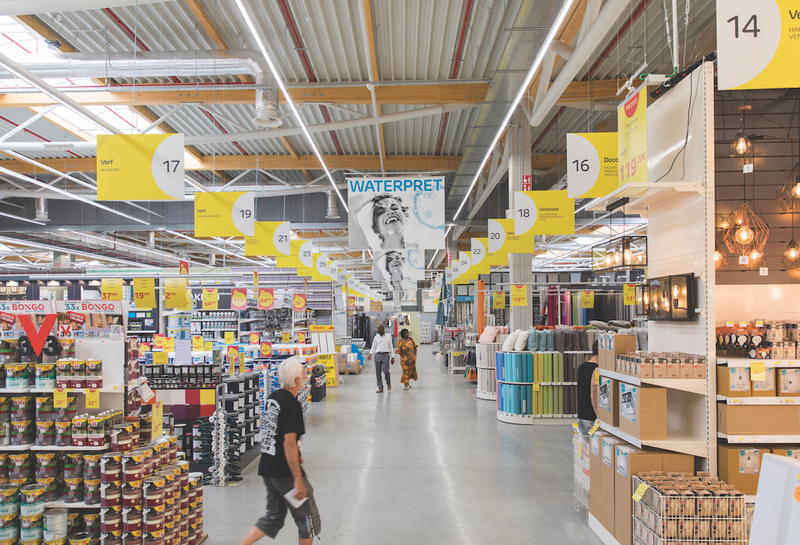 Maxeda runs smaller stores, sometimes no more than 2,000 square metres. Guy recognised that this move promised a learning experience. But more than this, Maxeda was searching for a new strategic direction, which Guy was all too keen to identify. Once he’d started at Maxeda, Guy and the other senior management staff enjoyed rapid growth and early success. Guy’s initial strategic plan saw an increase in annual sales to €1.355 billion. The group has continued to perform well under Guy’s leadership, with Maxeda reporting a threefold increase in net profits at the end of the last financial year, hitting €24 million. The strategy Guy espouses comprises two central tenets – focus and flexibility. “Focus,” he says, “is necessary to make a real choice about the way you are running your company – the key areas you want to invest in, the areas you need to stop exploring – to ensure that all your people are dedicated to your real target. These ideals stem from a trend of simplification within Maxeda that’s been in place for a little more than a decade. From 2006 to 2011, the retailer gradually divested itself of many of its chains, including those in such sectors as clothing, restaurants, department stores, electronics and jewellery. Because it’s no longer so spread out across multiple sectors, Maxeda has regained some of its flexibility. Simultaneously, Maxeda has become a purely DIY-focused group, allowing the company to better service its DIY customers. Indeed, the customer experience is a key focal point of Guy’s operations. He’s driven to ensure that customers can perceive how Maxeda is continuously improving their experiences. He employs a comprehensive strategy of enhancement for the retail group, emphasising the quality of its merchandising and the availability of its products. Maxeda also aims to continually improve its team, raising the bar of quality, skills, and expertise of the staff across the group’s stores and trading sites. Ultimately, all employees should have the capability and knowledge to advise and serve customers. Meanwhile, Maxeda continues to narrow and refine its focus. Since consolidating its portfolio in 2011, the group has operated four chains within the Benelux countries – Praxis and Formido in the Netherlands and BricoPlanit in Belgium. (Brico also operates stores in Luxembourg.) However, Maxeda has decided to consolidate further, combining its chains in the Netherlands. As further evidence of Guy’s commitment to customer experience, Maxeda’s stores have undergone numerous innovations over the years. In 2016, some of the DIY chains introduced self-serve check-outs as well as in-depth customer services, such as workshops focusing on specific subjects including painting and electronics. The company also implemented personal-shopping appointments, allowing customers access to 25 minutes of uninterrupted staff assistance. Still another innovation provides home-assembly services for a single fixed fee, similarly making staff members’ expertise available to customers. The hope is that with these changes and this attention, customers feel more appreciated. “Real retail is a trade-off between choice and accessibility,” Guy explains. “When I’m talking about accessibility, it’s a broad view. It could be economical, it could be technical – especially in DIY. We sometimes sell some very complex products, which people cannot use intuitively. They need face-to-face advice to be able to use these products. That’s the notion of accessibility and the notion of choice. It’s the two main forces that drive up the value proposition for customers. For Guy, this is all part of his core ideology – going back to basics and avoiding overextension, particularly in such a rapidly evolving digital retail space. “‘Back to basics’ is about making a clear choice and making sure that the company is not investing everywhere at once and being inefficient,” he says. “This is a risk when a new situation, such as ecommerce, is emerging. You may have seen Maxeda’s brands not only online or in physical stores, but also on TV. Brico has sponsored several programs in the popular home-improvement format, including Baksteen in de Maag and Une Brique Dans Le Ventre (both of which translate to ‘brick in the stomach’). Meanwhile, BricoPlanit served as the main sponsor of the Flemish version of a show called Help, Mijn Man Is Een Klusser! (‘Help, My Husband is a Handyman!’), which had an average audience of 250,000 viewers. 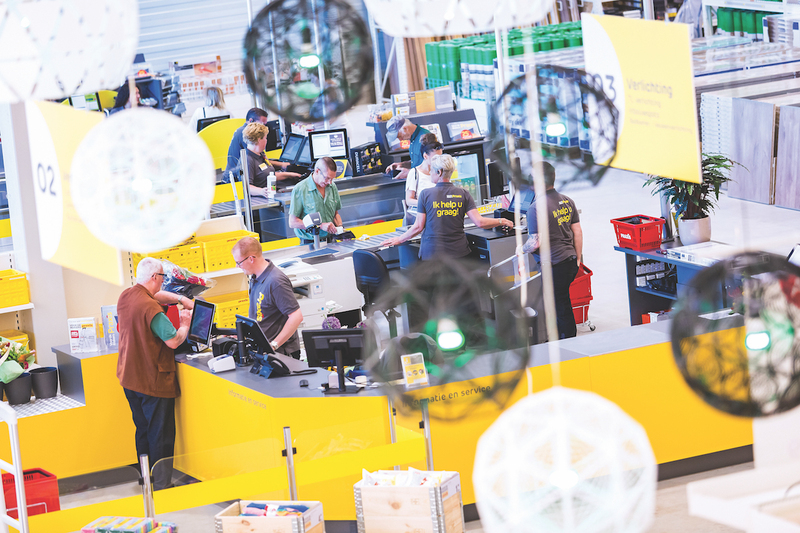 “We can simply rework the organisation so that it’s flexible and agile enough to meet this challenge – to invest in the stores and the new digital economy at the same time,” he continues. “That was the first step of my plan – what we call ‘back to simplicity’. This means that in many cases, we had to look at our organisation and make it more agile, which sometimes means reducing the number of people. This doesn’t mean that Maxeda will neglect investment in IT and digital capabilities. Instead, Guy will work to ensure equilibrium. After all, with more and more consumers shopping online, the company would be ill-advised to ignore the digital sphere. Even though Maxeda isn’t throwing itself into ecommerce with reckless abandon, it’s still finding success and receiving accolades, undoubtedly thanks to that restrained, measured approach. 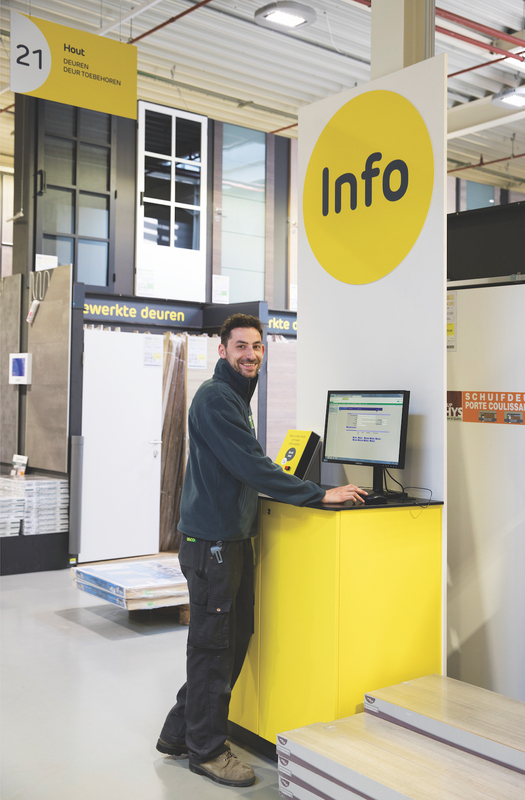 The Brico chain’s online store, for example, recently won a Webshop Award in Belgium as the consumers’ choice in the ‘Living & Interior’ category. According to the European Home Improvement Monitor, it’s also the best-known DIY retail website in the country. Meanwhile, Formido in the Netherlands also received a Webshop Award for best online store in the ‘DIY’ category. Having trained as an engineer, Guy is always eager to pursue efficiency throughout Maxeda’s operations. This extends to the retail group’s partnerships and supply chains. An inherent aspect of Maxeda’s relationship with its suppliers is that it expects all partners to preserve basic human rights throughout the supply chain. This includes the right to unionise; the right to be free from discrimination, harassment and violence; and the right to fair hours and compensation. In this way, Maxeda sets a high standard not only for delivery of goods and services, but also for ethical excellence. Guy also aims to ensure that these partnerships and supply chains operate as smoothly as possible. “It’s about the way you organise your supply chain,” Guy says. “Do you need a central house? Are you using cross-docking [!immediately!] and a direct connection to suppliers? It’s not just about the choice or location of the suppliers. It’s also about the route, the distance, the time, and the method by which the product goes from the supplier to the customers, as well as the organisation required to get it into the store."